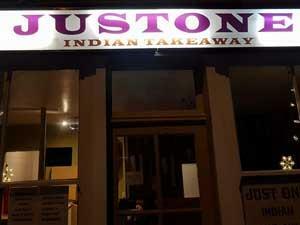 Justone Indian Takeaway & Home Delivery in Gorleston-on-Sea near Great Yarmouth serves freshly prepared and cooked Indian food to takeaway or have home delivered. Please check opening over festive period/bank holidays. From Great Yarmouth follow signs for Gorleston-on-Sea. Justone is located mid-way along the main High Street.